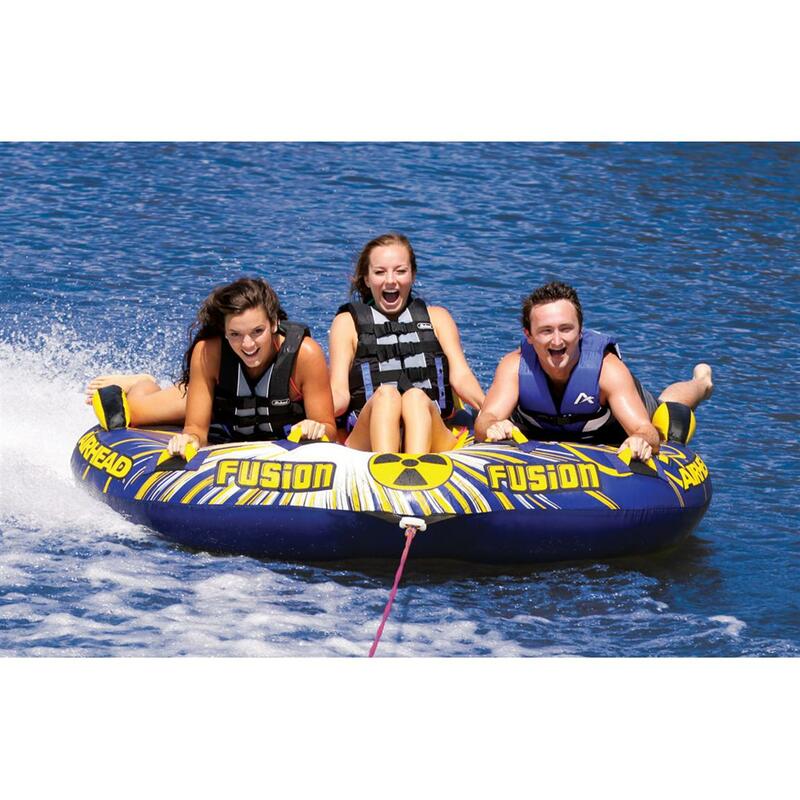 Airhead® Fusion 3-rider Towable Tube is part cockpit tube and part deck tube, so ALL riders can get in on the fun! Here's an Inflatable that really is fun for all ages! Younger riders will love the secure feeling of sitting inside the middle cockpit section, while older riders will get their share of thrills riding atop the deck-style "wings". 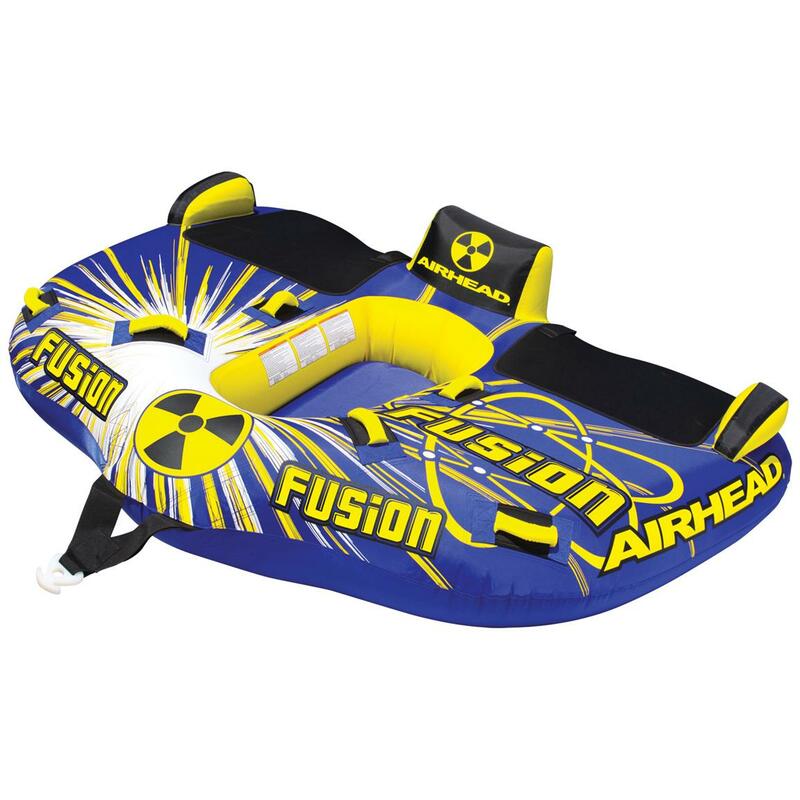 So get the whole family together... the Fusion is ready to thrill riders of all ages! Measures 7'3" w. x 6'9" l. (deflated).